Research has looked into Ayurvedic medicine for cancer symptoms and Ayurvedic medicine to treat cancer. Ayurvedic medicine involves the use of several types of therapies and people use it for many different types of illness. Some of these therapies, such as massage, may lower stress and help you to relax. Research has found that some aspects of Ayurvedic medicine can help to relieve cancer related symptoms and improve quality of life. Meditation can reduce anxiety, lower blood pressure, and boost general wellbeing. Recent studies have shown that yoga helps to improve sleep patterns in lymphoma patients and also reduces symptoms of stress in people with breast cancer or prostate cancer. More than 200 herbs and plants are used in Ayurvedic medicine. Some early laboratory and animal research suggests that compounds taken from traditional Ayurvedic medicines may be able to slow the growth of cancer in animals. Although this early research looks promising, there is no evidence that Ayurvedic herbal medicines can prevent, treat or cure cancer in humans. 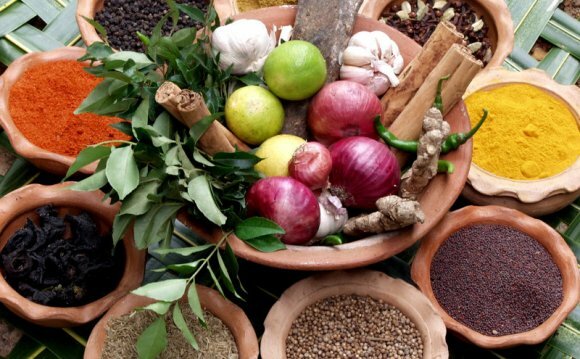 We won't really know whether Ayurvedic medicine is helpful in treating cancer until large randomised clinical trials have been carried out. Researchers have looked at some compounds used in Ayurvedic medicine. These include those listed below. In America in 2011 researchers took a compound called Withaferin A (WA) from the Ayurvedic medicinal plant Withania somnifera. They found that in the laboratory Withaferin A stopped the growth of some types of breast cancer cells. It also stopped the growth of breast cancer in mice. Several other studies support these findings. An Indian study in 2011 looked at selaginella bryopteris, a traditional Indian herb referred to as Sanjeevani. It found that compounds taken from the herb stopped the growth of cancer cells in the laboratory. The compound also reduced the development of skin tumours in mice. The mangosteen fruit has a long history of medicinal use in Chinese and Ayurvedic medicine. Recently, the compound alpha mangostin taken from the outside layer of the fruit was shown to kill various types of cancer cells in laboratory studies. This led Japanese researchers to test alpha mangostin in mice. The substance slowed the growth of breast cancer in mice and it was much less likely to spread to the lymph nodes. Pomegranate (Punica granatum) is seen as a sacred fruit in some world religions. Many cultures and systems of medicine, including Ayurvedic medicine, have used it for various health problems. Early research in the laboratory seems to show that pomegranate extracts may have anti cancer properties against prostate, bowel and liver cancer. Pomegranate is a good source of fibre and vitamins. Some studies looking at men who drank pomegranate juice or took extract have not shown any benefit in taking it. One small study followed men who drank pomegranate juice every day and found that their cancer took longer than normal to grow. So, at the moment it’s unclear whether pomegranate is helpful for men with prostate cancer. We need more research in large trials to be certain. It’s fine to include pomegranate in a healthy diet. Some laboratory studies have looked at Ayurvedic herbal remedies called MAK-4 and MAK-5. The remedies seemed to show some activity in controlling tumours in rats and cancer cells in lab dishes. But there have been no studies in humans.